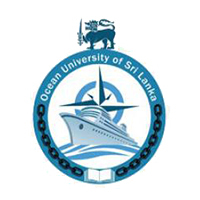 The Ocean University was established by the Parliament Act No 31 in 2014. The objective of the University is to conduct academic and professional education and vocational training activities in fisheries, marine and nautical engineering to fulfill and develop the needs of the fisheries and allied sector. In order to accomplish the key object, there are major divisions, Training and Higher Education. The Division of Higher Education has established the degree courses in B.Sc. in Fisheries & Marine Science, B.Sc. in Marine En- gineering, B.Sc. in Transportation Management & Logistics, B.Sc. in Coastal & Marine Resources Management and the diploma Courses in Under water Cutting and Welding, Aquaculture and Management Course and Marine Engineering under the subject of Tertiary Education and the certificate courses in Divine, Welding and Floating Vessels mechanic. Similarly, obtain the CDC certification for the said courses and the approval of the University Grant Commission for the degrees is a special achievement.